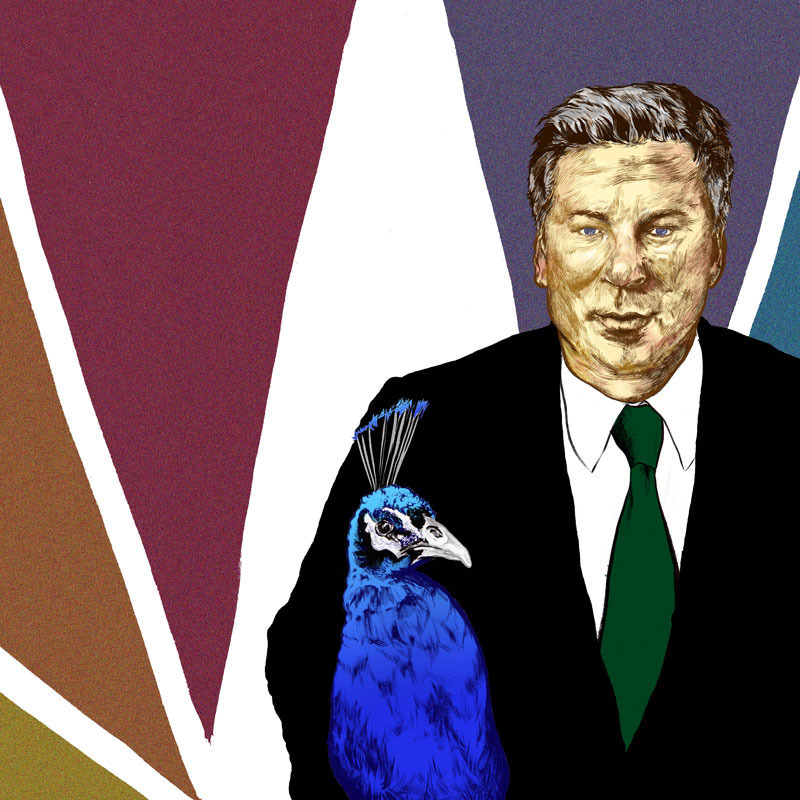 here we have jack donaghy and his mentor don geiss, reincarnated into a peacock as one episode suggested. 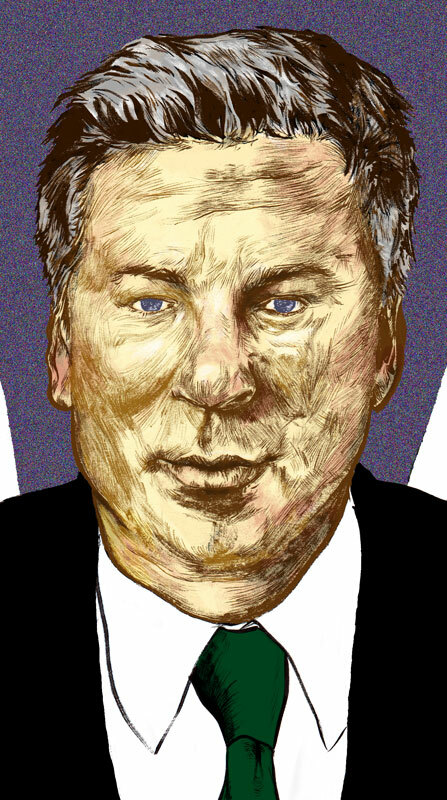 the intent behind this illo was to try and preserve a little but of humour while revealing some traits of the inventor of the tri-vection-oven. essentially, this is about the relationship between donaghy and his mentor. also, i just wanted this to remind viewers of the rather hilarious storyline involving them and gob devon banks and their battle to succeed geiss. argus was don geiss’s pet peacock whom donaghy inherited after geiss’s passing. donaghy ended up believing that the soul of don geiss resided in the peacock’s body and in a strangely profound (for 30 rock…right??) way reinforces the idea of donaghy’s devotion to nbc. so instead of the peacock’s usual tail (which i thought was too obvious), a certain television network’s logo is suggested. but this isn’t just to reference nbc – it’s also to try and show that jack is using the logo to compensate for the peacock not wanting to dazzle us. donaghy’s a fixer so this is his fix to try and dazzle and sell you on something he wants you to do. i don’t think i will post much on the process this time but i did draw and ink this on a much larger scale than usual. scanning that in proved to be a bit of a palaver but it turned out ok.
nice work! i like the desaturated nbc logo as the abstracted background. thanks. i wasn’t sure how it would look when i was planning it out but i was pleasantly surprised when i did finally see it.